Add crumbled bread, oats and seeds/nuts to a bowl and mix well. 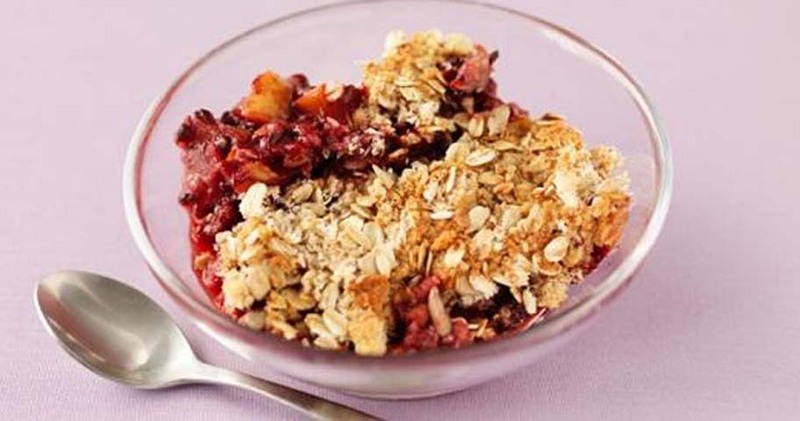 Chop the unpeeled, cored apples and put in an ovenproof dish with the berries and fruit juice. Bake in a preheated oven 180ºC/Gas 6/ 350ºF for 15-20 minutes until golden brown. Serve immediately with a little Greek yoghurt, custard or cream. A great way to use up extra bread, and easier than you might think!